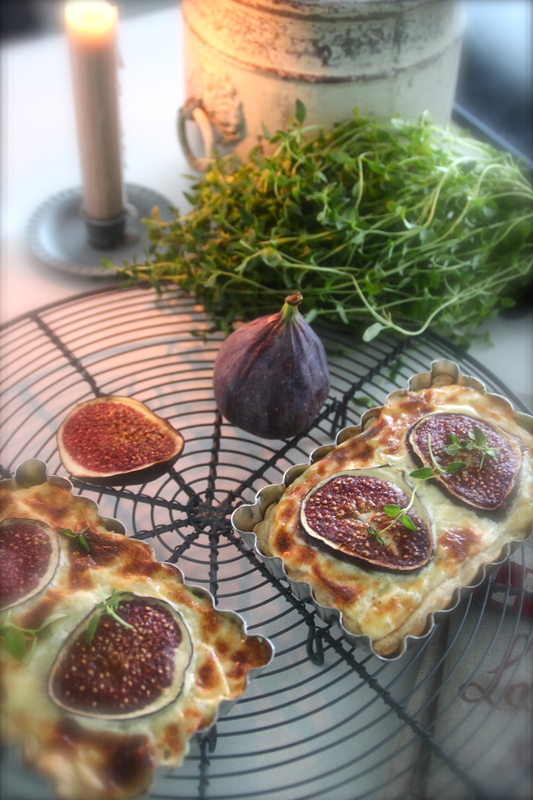 This fig and mascarpone tart is creamy and heavenly that melts in the mouth. It’s salty but the figs add a nice sweetness. This has to be one of the easiest pies to make and it is a comforting tart for fall time. 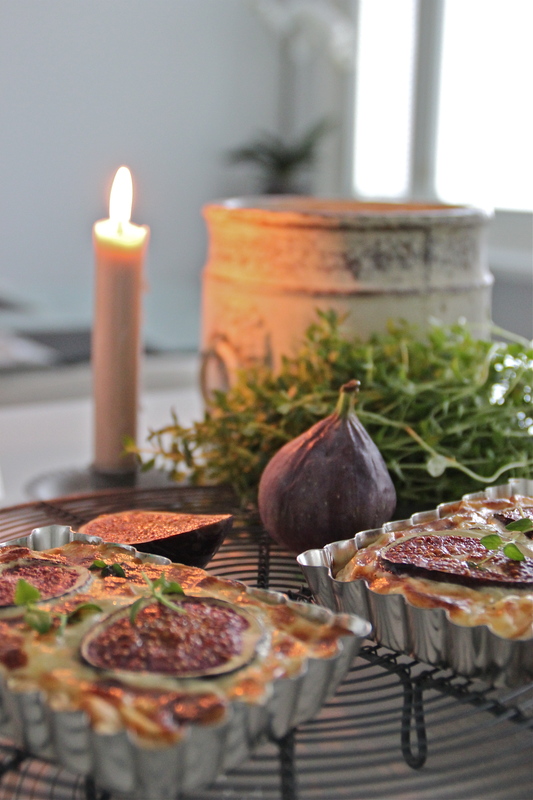 You will love the aroma as the tartlet comes out of the oven and fill fill your kitchen with instant joy. In the end, sprinkle some delicate fresh thyme on top to bring all the flavours together. I happen to have a frozen ready-made pie crust so I used that for the tartlets, but ff course by all means you can also make it from scratch. Preheat oven to 200 C. Begin by chopping the onions and garlic and sauté them with olive oil in a saucepan for about five minutes. Than add the cream, stock cube, dijon and parmesan and cook for another 5-7 minutes so the texture thickens. Season with black pepper and a touch of salt. Lower the heat and add in small pieces of chopped fig and the mascarpone cheese. Cook for another couple of minutes and turn off the heat. Check for flavour. Butter each tin base and roll the dough over each one while trimming the sides. Add the mixture into each base (not all the way till the top as it rises a bit in the oven) and add fig slices on top. Brush a tiny amount of butter on each fig so they do not burn in the oven. Place these into oven and after the first 10 minutes, drop the temperature to 180 C. Cook for about 30 minutes until golden brown. Sprinkle fresh thyme for garnishing. Next Post A bit of Fur. The recipe pictures on your website are beautiful. I would like to speak to you about them. Can you please contact me. Hi there and thank you very much. What did you have in mind? I am building a website for a culinary food and beverage festival and would love to use some of your photos. That sounds exciting! I feel honored. Yes sure you can use my photos as long as you source each one and link each once back to my page. Send me the address of your finished website, would be great to check it out! Oh thank you! 🙂 It tastes soooo good!! let me know how it turned out! ?